HÀ NỘI — Hà Nội’s Department of Transport said it would launch a campaign to eliminate illegal parking areas in the city. 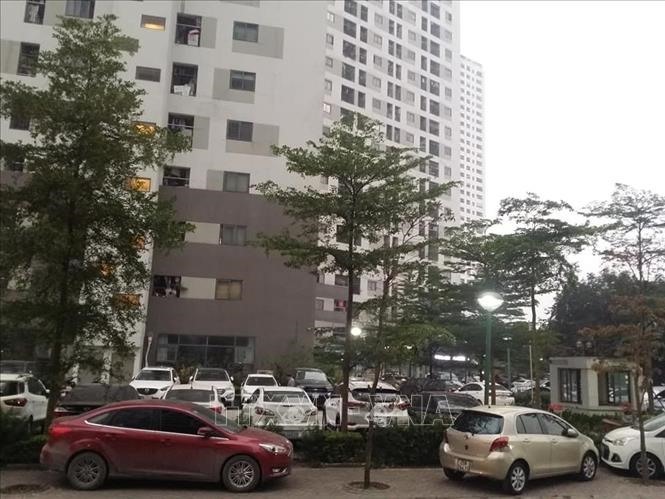 In the document sent to relevant authorities, director of the department Vũ Văn Viện said illegal parking remained widespread in the capital city. Some parking areas are operating with expired certificates, and many failed to comply with regulations, causing traffic problems and annoyance among the public. To ensure traffic order and safety at public parking spots in the city, Viện has assigned the department’s inspectors to work with the city police, local authorities, the Committee for Maintenance of Transport Facilities and related units to organise inspections on parking areas in the city. Illegal parking areas would be eliminated and any areas found in violation of the rules would have their operation certificates revoked. The Committee for Maintenance of Transport Facilities would co-ordinate with the department’s inspectorate to eliminate the illegal parking areas. The city’s Sub-department of Traffic Infrastructure Management has been assigned to collate the results of inspections and handling of violations for the department. Recently, the public raised concerns over some illegal parking areas in the city, causing traffic disorder. A parking lot on Lạc Trung Street in Hai Bà Trưng District was one example. The lot doesn’t have a licence, but accommodates hundreds of cars every day, causing traffic congestion during peak hours since last November.